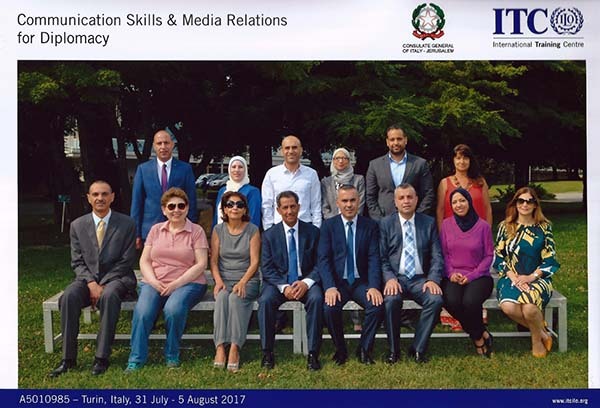 Ten young Palestinian diplomats sharpened their media skills in Turin, Italy, as part of a program to prepare them for the rigors of public diplomacy and exposure to the world. 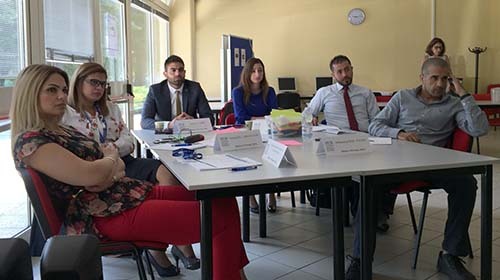 The group of eager men and women attended a weeklong workshop conducted in July 2016 by Media Unlimited director Magda Abu-Fadil and media expert Abdelhamid Siyam at the International Labor Organization’s (ILO) training center there. 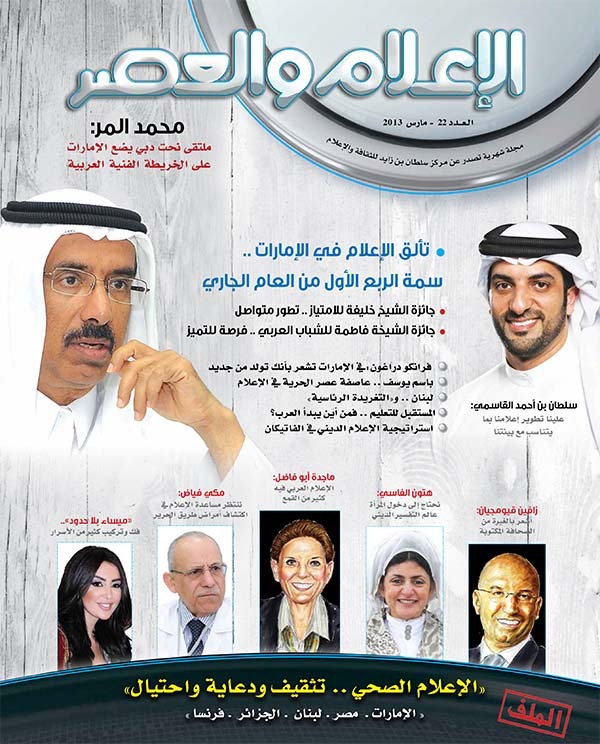 Abu-Fadil’s input began with concentrated sessions on how to think and act like a journalist. That meant understanding the rapid and major changes media and journalists have to undergo as well as the added pressures Palestinians face on their home turf, where (among other things) mobility is regularly hampered by the Israeli occupation, and abroad, where they have to compete for attention with other pressing world issues. 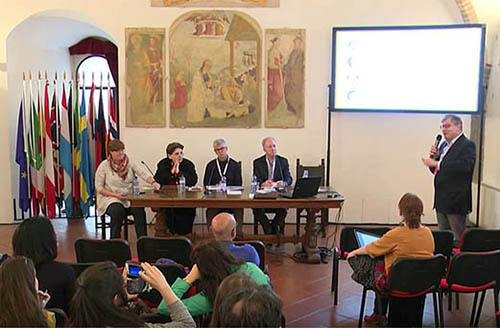 The diplomats were also briefed on how newsrooms and journalists have to contend with a multimedia digital ecosystem as users of countless apps and social media often outpace traditional news outlets. 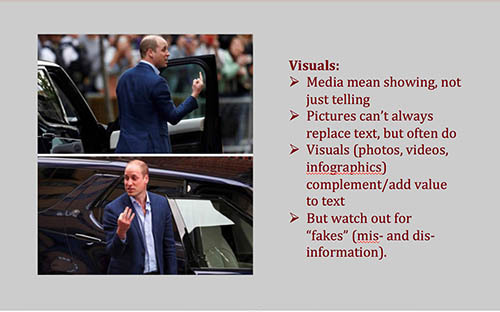 Abu-Fadil helped them define news, news values, the impact of information they disseminate, controversy, notoriety, sources, and how to write for different media, not just their superiors and other government officials. 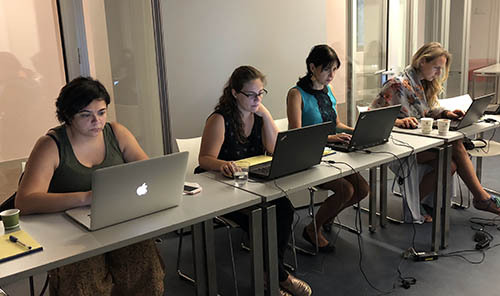 A major part of one session was dedicated to media ethics and the trainees were told about verification and credibility of sources, notably in conflict zones, how to minimize the risk of misinforming audiences and how to mitigate the impact of hate speech. 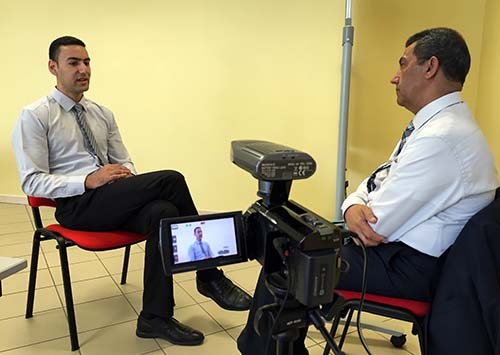 Abu-Fadil and Siyam walked the diplomats through interview skills and how diplomats can improve their performance on the air, in print, and in online media. That meant the proper planning and execution of the before, during, and after parts of interviews, and the subsequent assessment of one’s performance for improved future delivery of a message or project. 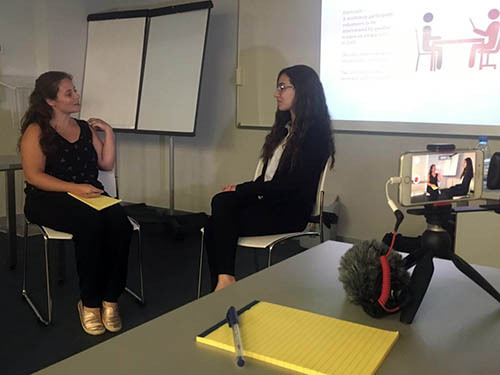 Simulations and mock interviews were part of the practical work in the workshop. 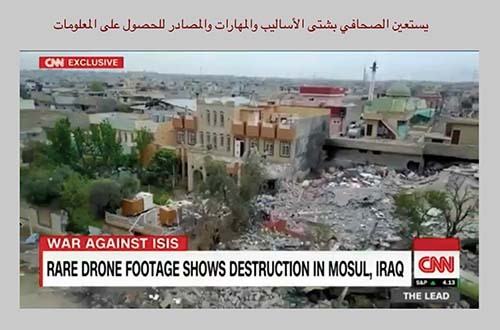 Siyam was the interviewer and Abu-Fadil was the camerawoman/producer. 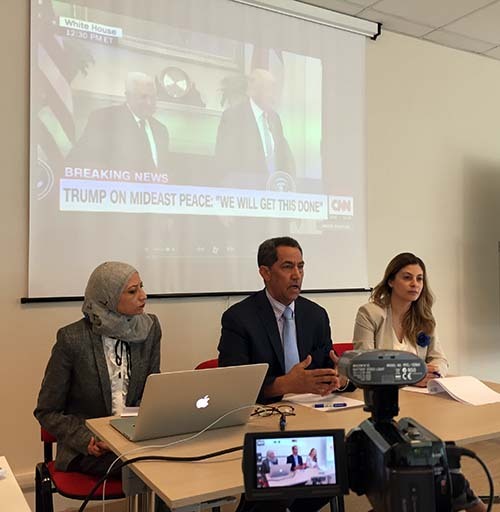 Other sessions involved writing skills, special focus on media in the Arab world, dealing with reputation issues, and social media for diplomacy. 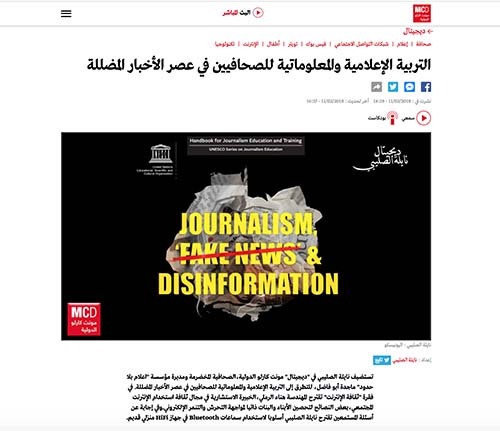 Media Unlimited director Magda Abu-Fadil weighed in on a hot ethics topic following a Twitter slugfest during which a journalist and an activist carried on battling during a Lebanese TV talk show. Journalist Ghadi Francis in a controversial tweet described the Syrian city of Douma as “meshwiyyeh” (Arabic for grilled or barbequed) by barrel bombs dropped on it that kill untold numbers of civilians. 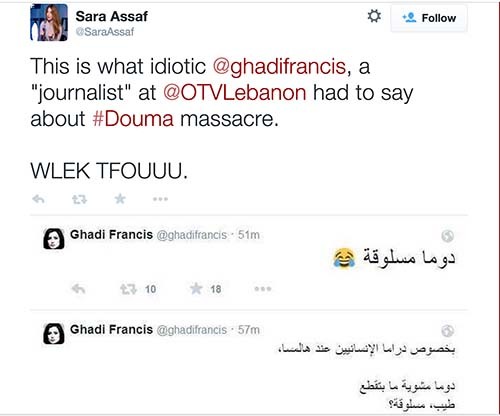 That prompted activist Sara Assaf to lunge back: “This is what idiotic @ghadifrancis, a ‘journalist’ at @OTVLebanon had to say about #Douma massacre. WLEK TFOUUU (I spit on you). 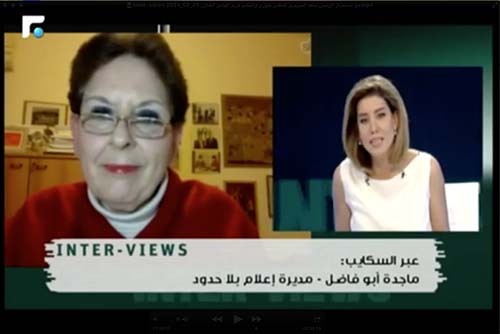 Enter Paula Yacoubian, host of the political talk show “Inter-Views” on Lebanon’s Future TV, who, also in a tweet, invited both women to further expound on the matter on her program in February 2015. 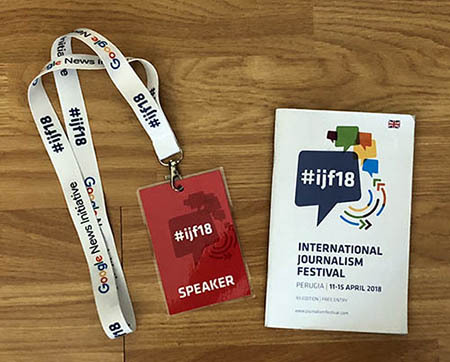 Abu-Fadil also referred to the five core values of journalism, expounded by Ethical Journalism Network director Aidan White in a video: as accuracy, independence, impartiality, humanity and accountability. She argued that they apply equally to bloggers, activists and non-journalists using social media. 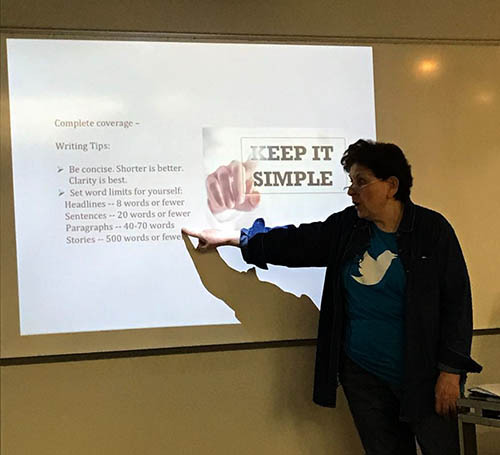 “What we’re seeing a lot on social media are reflexive answers, where someone tweets something and another person replies reflexively, with no consideration for critical thinking,” she said. 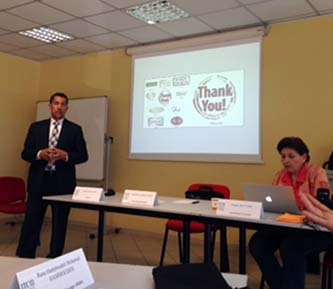 Abu-Fadil added that one has to stop and think about the repercussions of tweets and whether they could cause harm. “What’s this incredible accomplishment of contributing to hate speech? It’s disgraceful. 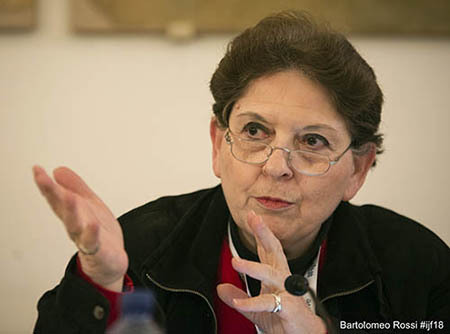 We’ve reached a level of unprecedented degeneration,” she noted.